Yamunotri is held in high honor by the Hindus, as it is one of the four sacred sites in the Char Dham Pilgrimage. Yamunotri, the abode of the Goddess Yamuna, is the source of river Yamuna. Set amidst the beautiful Himalayas, Yamunotri is located opposite to Gangotri( one of the Char Dham pilgrimages site). Yamunotri is well renowned for its hot water springs and glaciers. Yamunotri is the source of the river Yamuna, which originates from the Champasar Glacier located at an elevation of 4421 m.
Offering picture perfect views of the Himalayas, Yamunotri is located in the Uttarkashi district of the state of Uttar Pradesh. Located near Yamunotri is the mighty Bandarpunch Mountain. Dedicated to the Goddess Yamunotri, the Yamunotri temple was built in the 19th century. The temple is ideally located at an elevation of 3030 m, around 6 km below the glacier. The temple enshrines a beautiful silver idol of the Goddess Yamuna. According to the Hindu Mythology, Yamuna is the daughter of the Sun God. River Yamuna is also the sister of Yama, the God of death and it is believed that a bath in the river spares one of a painful death. Before entering the temple the devotees worship Divya Shilla, a rock pillar. The temple remains closed from November to May. The hot water springs at Yamunotri attracts many a tourists. It is believed that the waters of the springs has curative powers. Here you can see people preparing potatoes and rice in the boiling waters of the springs. One of the hot springs here, Surya Kund deserves mention as it is at this kund where devotees cook rice and potatoes to offer at the temple. Adventure freaks can enjoy trekking, mountaineering and rock climbing in Yamunotri. It is a place located on the Mussoorie-Yammnotri road. According to the legend associated with it, the Kaurvas built a hut here and conspired to burn the Pandavas alive here. 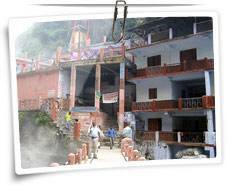 Located 7 km from Yamunotri, Janki Chatti is famous for its hot water springs where pilgrims take bath. The main attraction of Kharsali is the three-storied Shiva temple whose walls have been beautifully carved. Also notice its fabulous woodwork. Located at a distance of 10 km from Yamunotri, Saptarishi Kund is an arresting attraction. Most of the times, this kund remains covered with ice. Another attraction of this place is the rare Brahma lotus, which grows here. By Air: The nearest airport is Jolly Grant located at a distance of 196 km. 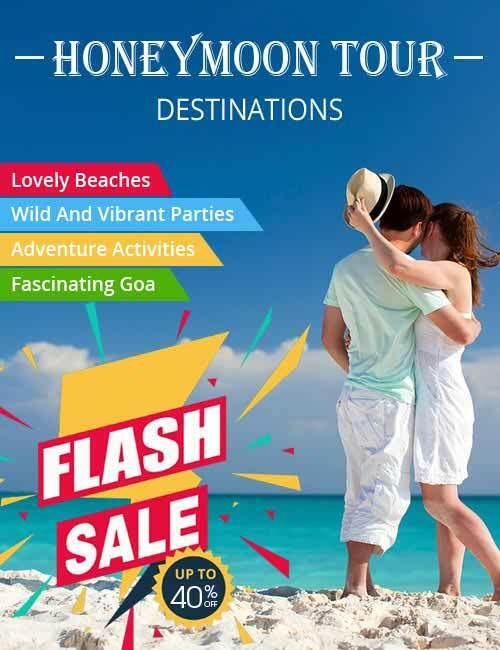 By Rail: The nearest railway stations are at Rishikesh(219 km) and Dehradun (172 km). By Road: Yamunotri is reachable through Hanumanchatti, at a distance of 14 km. This stretch of 14 km can be covered on foot, palanquins, ponies and horses. For accommodation, Dharamshalas and tourist rest houses are available in and around Yamunotri.